A warm day in the city of Prizren, Kosovo kicked-off the second edition of Dokutech, an alternative tech and social conference, that puts the attention around the tech community and the power that comes from it, through networking, stories and openness. 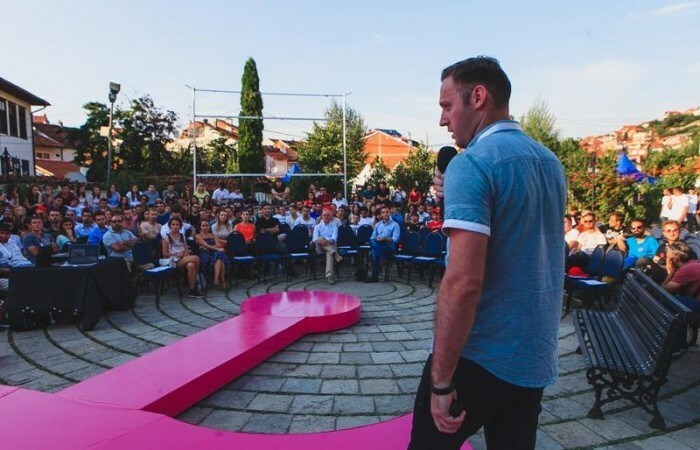 With an amazing line-up of speakers and engaging workshops, the amazing venue – The League of Prizren featuring a fantastic mountain scenery, a castle, a museum and a mosque, revealed an unusualness to a tech conference, showing the power of being different. Kushtrim Xhakli and Vladan Joler kicked off the conference thanking the organizers, supporters and speakers, while highlighting the great cooperation between IPKO Foundation, Share Foundation and Dokufest on creating an inspiring tech-conference, that comes in full power on its second edition. Brining the future closer is the motto of Dokutech, and is the main drive behind every speaker at Dokutech that wants people to understand how the future is actually the now. Stay tuned with Digjitale for more.